#193. 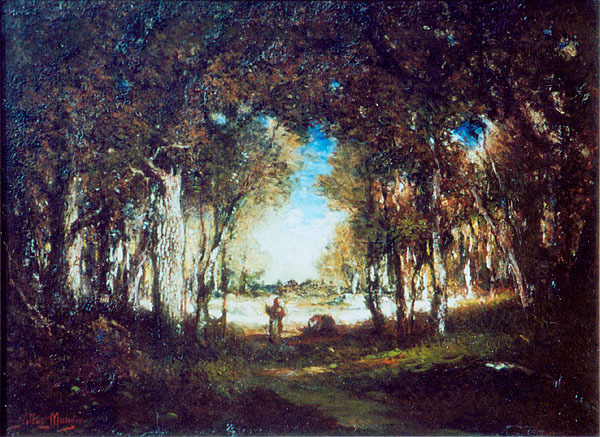 Barbizon Landscape -- Sunlit Clearing. 16 x 22, oil on canvas. "Gilbert Munger" lower left. The back of the canvas shows the materials supplier stamp: "Prepared by Winsor & Newton, 38 Rathbone Place, LONDON." Sold 9 Oct 2000 on eBay by someone in South Dakota for $685. Sold in 2001 by Ray Frederick of Frederick Waters Fine Art, Auburn WA, to a Seattle collector. 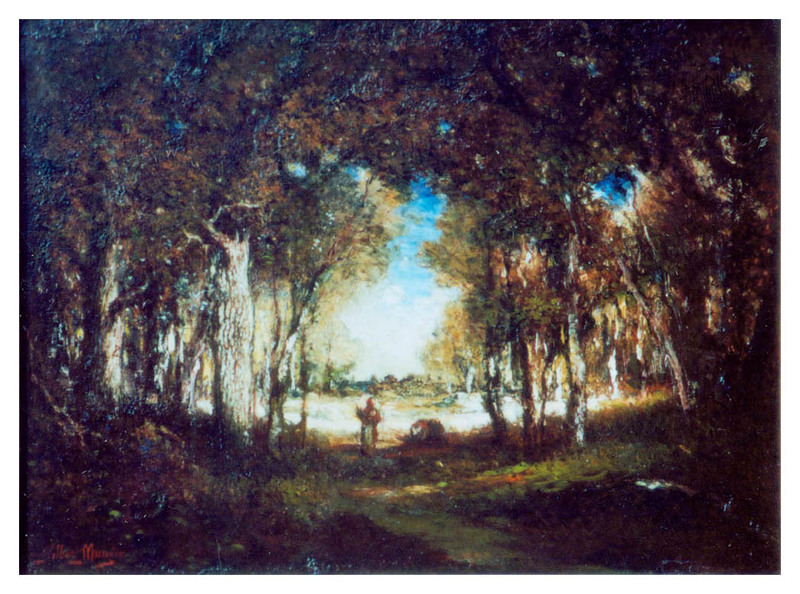 The scene is very similar to that in painting #199. The owner believes that the whitish orb in the sky is the moon, not the sun, and that the title should be "Rising Moon." Image from owner's photo.